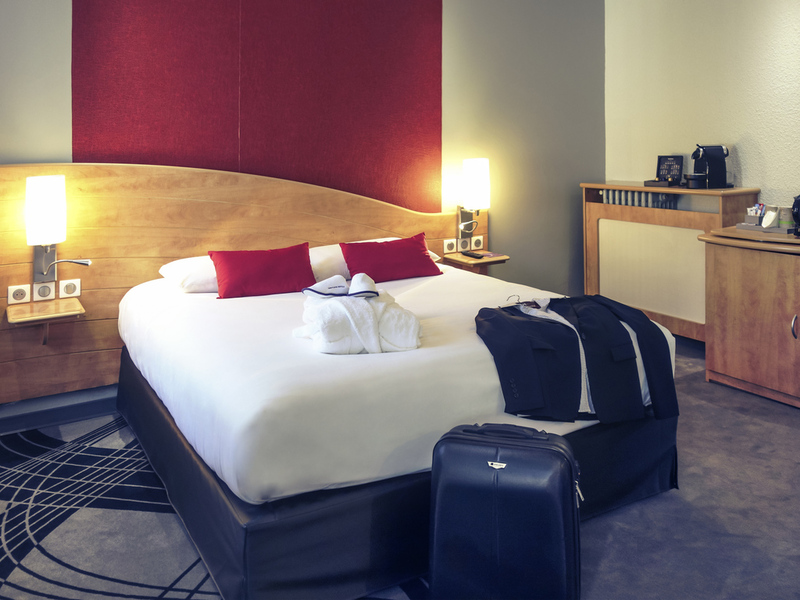 5 minutes from the TGV station, along the Moselle river and opposite the Musée d'Art ancien et contemporain, the Mercure hotel is the perfect place for business meetings or to discover the local attractions and historical sites in the heart of the Epinal. For your well-being, the hotel features a spa area with heated swimming pool, balneotherapy, sauna and hammam. At "Le Mouton Blanc" restaurant, the chef offers modern cuisine with a traditional touch. Escolha entre as diferentes categorias disponíveis: quartos Standard, quartos Superior, mais espaçosos, quartos Privilege, com uma variedade maior de serviços ou Suítes Family, para férias com a família. Our "Le Mouton Blanc" restaurant offers tasty, healthy and balanced dishes in a pleasant and contemporary setting. The menu and set menus are made with seasonal produce. On sunny days, take advantage of our terrace! We have everything you need to ensure your business meetings, co-working sessions and coffee breaks are enjoyable!